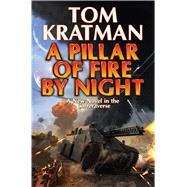 Book #7 in the popular Carrera military science fiction series. Carrera's held off his enemies coming by sea from the north, in the process dealing the naval and amphibious forces of the Zhong Empire a stinging defeat. The Zhong won't soon forget the blood-stained waters and the heaped up bodies on the shores of Balboa's Isla Real. Now, though, his adopted country of Balboa is under assault from the east, from the south, from the west, from the air, and from space. The Zhong, smarting from the butchery around the island, have bounced back and forced a lodgment east of the capital. Their lodgment is still a-building but when it is done Carrera can expect several hundred thousand brave and determined Zhong to show up on his barely defended flank. The Taurans, remembering their military roots, have assaulted Balboa from the south, taking half the area of, and cutting, the Transitway that joins Terra Nova's Mar Fusioso and her Shimmering Sea. In the process, they've cut off and besieged the second city of the country, Cristobal, trapping inside the city Carrera's Fourth Corps, and overrunning and capturing a large portion of Carrera's artillery train. West of Cristobal, the Taurans have created, almost from scratch, a series of small ports and airfields to support their siege. Inside the town, a sense of desperation is growing among the men and women of the Fourth Corps: Has their leader forgotten about or abandoned them? Meanwhile another Tauran Expeditionary force secures Balboa's eastern neighbor, Santa Josefina, as a base against them. In space, the United Earth Peace Fleet, under the Command of High Admiral Marguerite Wallenstein, keeps as low a profile as possible, all the time spying and feeding intelligence to both Zhong and Tauran. It's beginning to look like the game is up for Balboa and Patricio Carrera. But Carrera's been planning this war for fifteen years. He certainly hopes his enemies think they're winning. In 1974, at age seventeen, Tom Kratman became a political refugee and defector from the PRM (People’s Republic of Massachusetts) by virtue of joining the Regular Army. He stayed a Regular Army infantryman most of his adult life, returning to Massachusetts as an unofficial dissident while attending Boston College after his first hitch. Back in the Army, he managed to do just about everything there was to do, at one time or another. After the Gulf War, and with the bottom dropping completely out of the anti-communist market, Tom decided to become a lawyer. Every now and again, when the frustrations of legal life and having to deal with other lawyers got to be too much, Tom would rejoin the Army (or a somewhat similar group, say) for fun and frolic in other climes. His family muttering darkly, put up with this for years. He no longer practices law, instead writing full time for Baen. His novels for Baen include A State of Disobedience, Caliphate, and the series consisting of A Desert Called Peace, Carnifex, The Lotus Eaters, The Amazon Legion, Come and Take Them, and The Rods and the Axe, as well as three collaborations with John Ringo, Watch on the Rhine, Yellow Eyes, and The Tuloriad. Also for Baen, he has written the first three volumes of the modern day military fiction Countdown series.